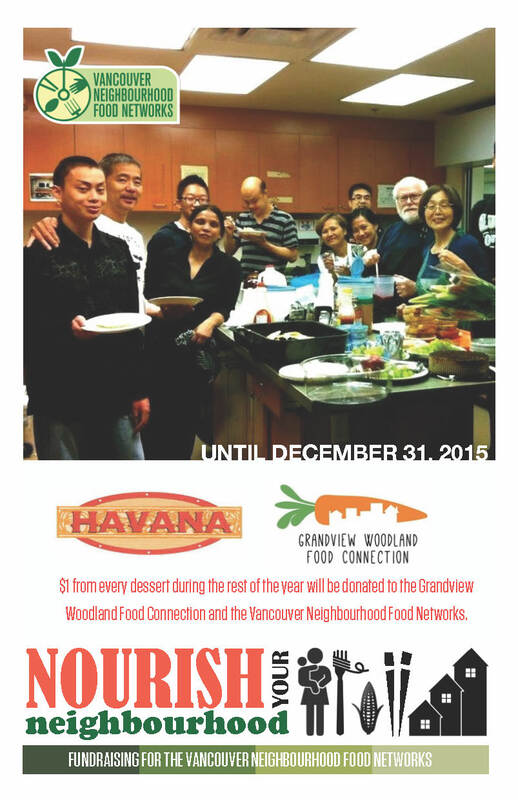 Announcing through to the end of the year, Havana Restaurant on Commercial Drive is donating $1 from each dessert to the Vancouver Neigbhourhood Food Networks. Havana Restaurant: $1 from each dessert throughout the month of October will be donated. The Fish Counter: Partial proceeds on October 17 Pink Salmon Day donated with thanks to the FISH counter and the MV Pacific Provider. Nester’s Market Main Street: A Healthy Gift Basket will be raffled off at Garden Fantasies: A Seed to Seed Event, hosted by the Little Mountain-Riley Park Neighbourhood Food Network, in partnership with the Terry Salmon VPL Branch and the Riley Park Hillcrest Community Association, on October 18th from 1-4pm at Hillcrest Community Centre, 4575 Clancy Loranger Way. Organic Acres – proceeds from the sale of winter squash.